The latest Spectrum of the Seas construction photos with a view of one large block which will soon become part of the future Royal Caribbean cruise ship. Time to look forward and see how Spectrum of the Seas is coming along, a future Royal Caribbean cruise ship which is coming in 2019. 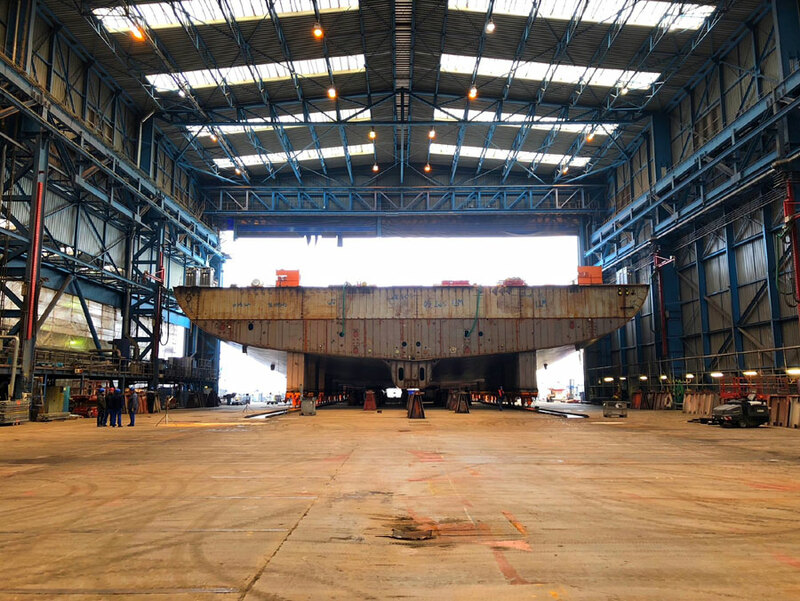 Royal Caribean has released some new construction photos of a huge block which is just one of many that will make the ship whole. 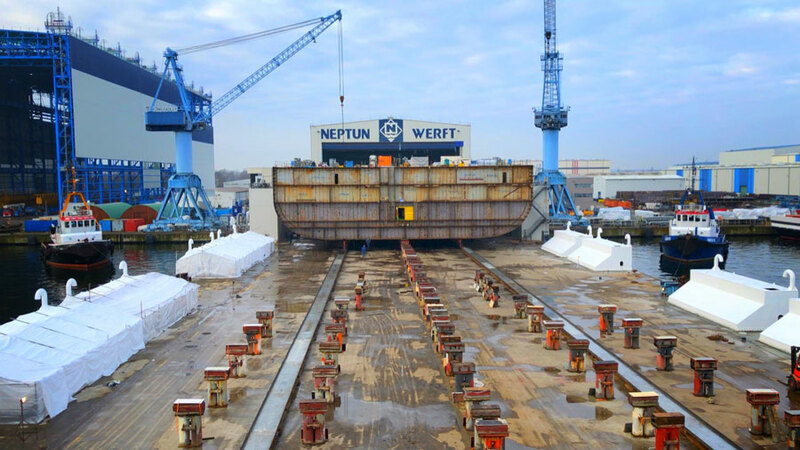 The large block which you can see further below was built not at the Myer Werft shipyard in Papenburg, Germany but at another shipyard nearby called Neptune Werft. 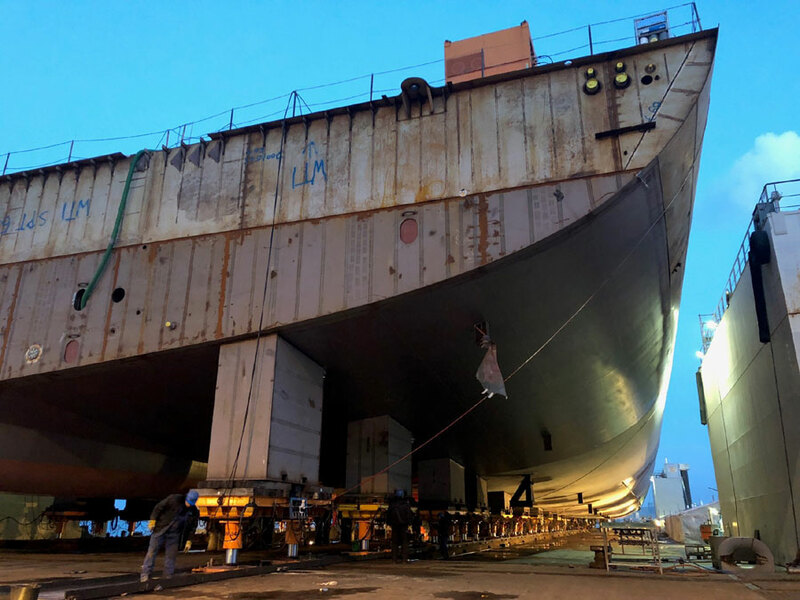 Now that the major block is complete it will be transferred along the Ems river to join other blocks of Spectrum of the Seas at the construction dock in Meyer Werft. We won’t delay you any longer, take a look at Spectrum of the Seas photos below. You can see the first laid block here. 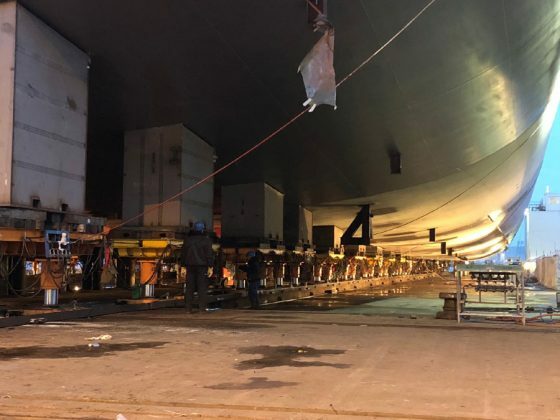 It is still early days yet but the build-up has already started for Spectrum of the Seas and in fact “Spectrum of the Seas is Most Anticipated Future Cruise Ship” in the recent Cruise Hive awards. The future cruise ship will be the first Quantum Ultra class vessel, an evolution of the current Quantum-class ships. The ship will have a similar design and is set to be 168,800 gross tons and a passenger capacity of 4,200. Not much has been revealed yet but the cruise line has already confirmed a second sister ship for 2020. Royal Caribbean will be releasing further details on Spectrum of the Seas including Itinerary and onboard features.